Many buyers have experienced frustration and anxiety while trying to buy a Sequim short sales home. A short sale involves selling a home for less than the balance of the mortgage. This is the classic “upside down” situation. Years ago we often used that phrase when talking about a car that was upside down, but today the phrase is being used when talking about homes that are worth less than the mortgage. There are 10 Sequim short sales MLS homes available as of today. That’s not very many. 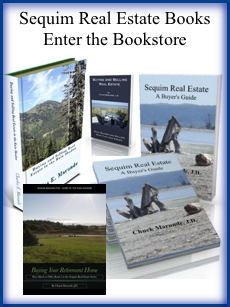 There are a total of 403 homes for sale in the MLS in Sequim. Many Sequim couples have found themselves frustrated when trying to buy a home that is listed among the Sequim short sales. Here’s why. There is a process for handling a short sale, an SOP (standard operating procedure) for writing an offer, reaching mutual acceptance with the owner, and working with the bank to get the short sale approved and closed. Unfortunately, there is a lot of confusion about the process, and both sellers and their listing agents have a tendency to try to re-invent the wheel and create their own process. This can create many problems, and there are many scenarios that take the buyer and seller down a labyrinthian bunny trail for months without ever reaching a final agreement. SHORT SALE. A “Short Sale” is a transaction that depends on Seller’s creditor(s’) agreement to accept less than the amount secured by the Property in order to satisfy Seller’s obligations at Closing. Buyer and Seller acknowledge that the purchase price is insufficient to cover Seller’s obligations at Closing and that this Agreement constitutes a Short Sale. SHORT SALE CONTINGENCY. This Agreement is contingent upon Seller obtaining written consent from Seller’s creditor(s) for the Short Sale and Seller’s acceptance of any conditions imposed by Seller’s creditor(s) (“Lender Consent”). Seller shall have ___ days (60 days, if not filled in) after mutual acceptance to obtain Lender Consent. If Seller timely gives notice of Lender Consent to Buyer, then this contingency shall be deemed satisfied. If Seller fails to timely give notice of Lender Consent to Buyer, then this Agreement shall terminate and the Earnest Money, if deposited, shall be refunded to Buyer. If Seller becomes aware that Seller’s creditor(s) did not consent to the Agreement or if Seller decides not to accept the conditions imposed by Seller’s creditor(s), Seller shall give notice to Buyer of that fact within 2 days and upon Seller’s notice, this Agreement shall terminate and the Earnest Money, if deposited, shall be refunded to Buyer. Buyer and Seller acknowledge that Seller has limited control over whether Seller’s creditor(s) will consent to the sale and when such consent is given. First, buyer writes an offer and submits it to the seller’s listing agent. Second, the listing agent should sit down with his client and decide whether to accept, reject, or counter the buyer’s offer. If they reach full agreement, they have mutual acceptance, subject to the seller’s bank approval of the price. Then the seller (with help from their listing agent) must submit a complete short sale package with very specific items and with a well written script in a cover letter to the bank. When listing agents deviate from this simple process, it puts the buyers in a very untenable position of waiting and waiting and waiting for various verbal discussions between the seller and his bank, the listing agent and his client, the listing agent and the seller’s bank, and sometimes several other parties. These verbal discussions have no time limits and some of the parties play phone tag, and inexperienced bank employees and/or real estate agents can ride the Merry-Go-Round for weeks while the buyers are waiting. Inexperienced parties will have discussions that involve subjects that should not be brought up, or which only dig a deeper hole for all parties involved. Buyers may even ask what they are waiting for, but their own Buyer’s Agent cannot tell them, because neither the Buyer’s Agent nor the Buyer are part of the discussions that may or may not be going on between the seller and the seller’s agent and the seller’s bank. All of this is happening typically with no written agreement between the buyer and seller. All of that can and usually does create chaos, and buyers deserve better. By the way, the vast majority of listing agents handling a short sale don’t have the standard packages that their client needs to submit to get a short sale approved, and some don’t even know there is a checklist of required items for banks. This is not the time to learn by trial and error at the expense of buyers (and sellers). By the way, there is much more to understanding short sales and what can and cannot be done than I can cover in this short article. For example, a seller and a bank may agree to work out a separate contract which would allow the sale to close with the new buyers, but would require the seller to pay the bank a portion or all of the unpaid balance with his signature on a new promissory note. This removes the deed of trust as security for the note from the real estate. There are other possibilities, too, but none of this takes anything away from the need to follow the standard operating procedures and contract law. How one postures themselves in a real estate transaction makes all the difference in the world. If a short selling listing agent postures himself (or herself) in a way that yields the decision making authority of the transaction to the bank, he has made a grave mistake and lost control of the transaction. Not only that, he (or she) has done a tremendous disservice to the buyer and the buyer’s agent, because he (or she) has also taken all control away from the buyer and the buyer’s agent. A listing agent yields control to a bank when he gives the bank an offer that has not yet been signed by his selling client, seeking the bank’s verbal approval in advance, which most often degenerates into various discussions over a period of weeks. A listing agent yields control to a bank whenever he brings the bank into the negotiations prior to the buyer and seller reaching mutual acceptance in writing on the price and the terms. Yielding authority to a bank clerk in Seattle or in Chicago for a Sequim real estate transaction is an excellent way to create chaos for everyone in Sequim. It’s not standard operating procedure, and the bank clerk is not supposed to play the role of master transaction coordinator. That role is reserved for one person in a short sale–the listing agent. But if the listing agent yields that role to the bank, we all have lost control of the transaction. Chaos will ensue, and it does every time. After reading this last paragraph, some may be tempted to argue that the seller must negotiate with the bank and that it is appropriate to enter into a dialogue with the bank on how much they will accept for a payoff. Success in a short sale depends on doing the right things in the right order, and getting procedures out of order will create chaos. A seller may and should talk with their bank about how much the bank would accept as a payoff in a short sale, but that conversation happens before the home is listed, NOT during negotiations when the buyer has submitted an offer and the seller has not signed it yet. Once an offer is submitted by a buyer to a seller, the seller should sign it when he has agreed to the price and terms, and then and only then should it be submitted to the bank. The bank has one decision to make–to accept or not to accept the payoff amount. That’s it. The bank should not be invited to be a party negotiating the transaction. That is not their role. Contract law designates only two parties with the legal right to negotiate the purchase and sale of a home, and those parties are the buyer and the seller. If the bank chooses not to accept the payoff amount and sustain that big of a loss, they simply inform the seller. The Short Sale Addendum we use in Washington includes language to deal with this scenario, and the seller has 2 days to let the buyer know the bank has rejected the payoff. The buyer and seller can renegotiate another price if they want to, and re-submit it to the bank. A listing agent owes his selling client a fiduciary and ethical duty to get a buyer under contract, but if the listing agent does not get mutual acceptance on a contract before submitting a short sale package to the bank, he has actually done his own client a disservice. The buyer, who has no signature on a contract with the seller can walk away anytime with no obligation and no earnest money on the table. This is another reason the SOP has both buyer and seller signing a contract before submitting it to the bank. A bank needs a complete short sale package with the documentation and persuasive proof that it is in their best interest to approve the short sale payoff. A listing agent who just faxes an offer not signed by the seller has set all the parties up for a disappointment. A bank clerk who has not seen the whole package will almost certainly reject it. Most listing agents do not know how to put together a complete short sale package. The only reason I do is because I paid $5,000 for a complete system and package to properly assemble a short sale package, and there is much more to it than most agents realize. Having practiced real estate law for 20 years and having been in real estate going back 37 years was a good foundation for understanding short sales, but I still needed to know exactly what documentation and cover letters and arguments the banks wanted to approve short sales. I also consult with one of the country’s foremost short sales Realtors who closes more short sales transactions in one month (14) than most agents in Sequim do in an entire year. She knows the process, and she has affirmed what I’ve written in this article. If the seller tries to work out some private arrangement with his bank and leaves the buyer hanging for an uncertain amount of time without using procedures that have now become standard in the industry across the U.S., the buyer may find out after months of waiting that the seller decided to just let the home go into foreclosure. If the home goes into the foreclosure process, that will mean it is legally off the market and cannot be sold for eight months to a year. [See my full description of the foreclosure process on this blog.] There are probably a dozen or more ways a short sale can go sideways when everyone does everything right, but when the parties deviate and start making up their own rules when they don’t have the experience to do so, the chances of closing a short sale are substantially diminished. Buyers get jerked around for months, and these buyers tell me they not only get frustrated, they get angry. All of this is why we are seeing so much chaos with Sequim short sales. I have had several buyer clients try to buy Sequim short sales, and each time we ran into chaos and my client and I were told by the listing agent that we had to ride the Merry-Go-Round for an uncertain amount of time while he and his client made new rules and while the bank jerked us around. No wonder buyers get frustrated. This is also why I discourage buyers from trying to buy a short sale listing if they can avoid it. 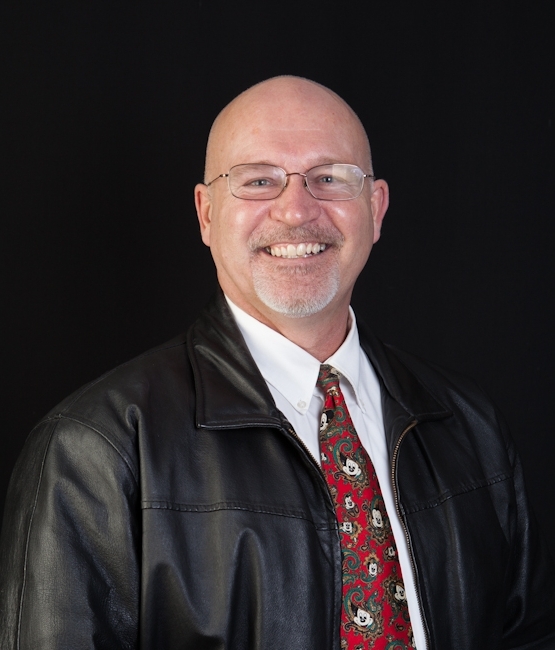 Whether we are talking about Sequim short sales or any real estate transaction, you’ll notice that I am very consumer oriented, and the question I always focus on is what is in the client’s best interest, not the Realtor’s, not the bank’s, not mine, but the clients. My focus in this article on Sequim short sales is not just on buyers, but also what is in the best interest of sellers. If a sale is to close, it must work for all parties. Here’s the good news for buyers who do find a home that is among the Sequim short sales in the MLS. You can ask me to be your buyer’s agent, and I’ll make sure you don’t get on a Merry-Go-Round. Been there, done that. Let me save you the nightmare and the stress. 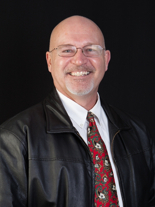 Let’s find your ideal retirement home, and if it is among the Sequim short sales, we’ll do it right. But let me just give you a big heads up: Sequim short sales tend to be long stressful experiences.